Scientists still don’t know exactly how the Grand Canyon was created, but they do know that its oldest rocks date back more than 1.5 billion years. Panorama from Point Sublime, illustration of the Grand Canyon by William Henry Holmes, published in Clarence E. Dutton, ‘Tertiary History of the Grand Cañon District’ (1882). 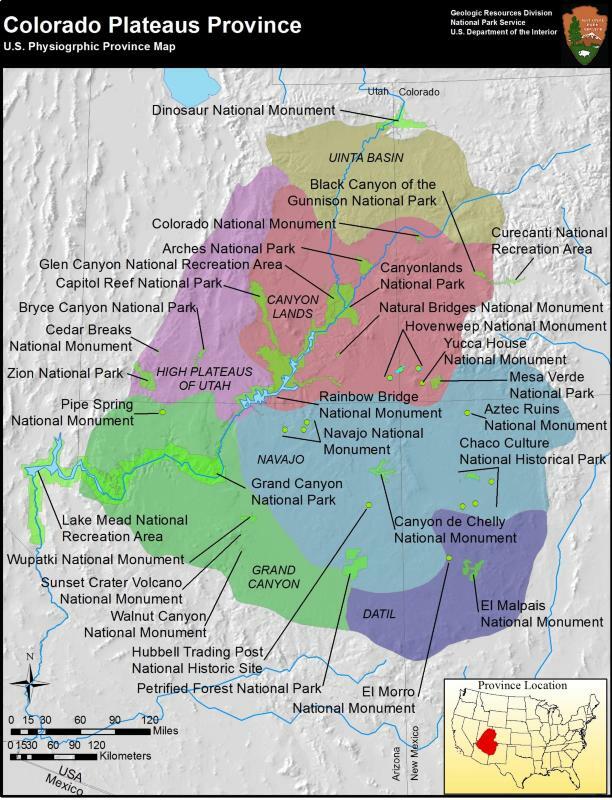 Colorado Plateau national parks and monuments.